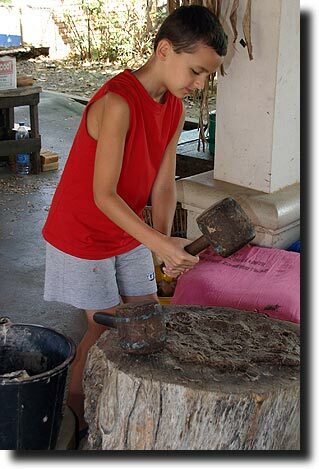 Breck wanted to try his hand at pounding the handmade paper - he found out those mallets are pretty darn heavy! After our initial introduction to Chiang Mai and visit to the night market, we spent one morning doing the touristy thing and visiting the factories that made silk, wood, and umbrellas. 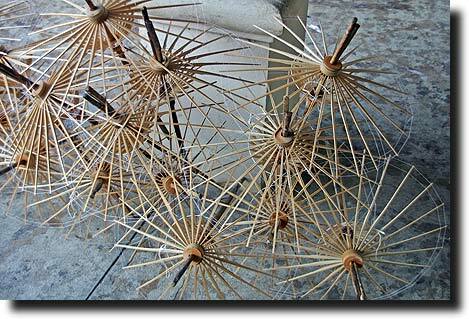 The umbrella factory was really interesting and we enjoyed watching them make the frame, cover, and ornamentation. 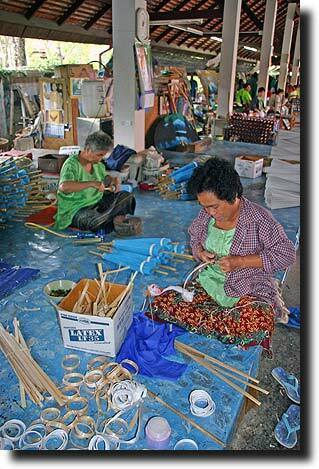 The entire ground floor was a hive of (mostly) women carving, painting, and fabricating the umbrellas. 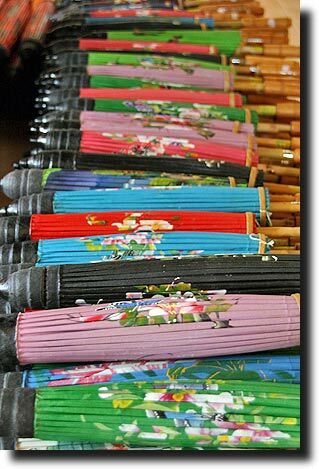 The delicate spines of the umbrellas are all carved by hand and then strung together - a fascinating process hundreds of years old. 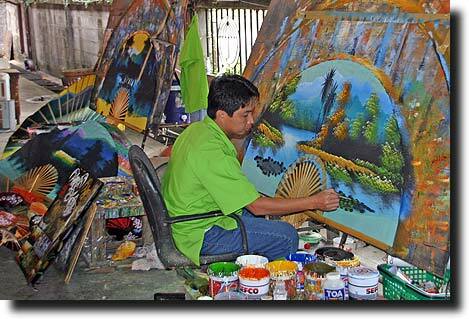 Besides showing us how all the different pieces are made and put together, the workers also will paint things for you. 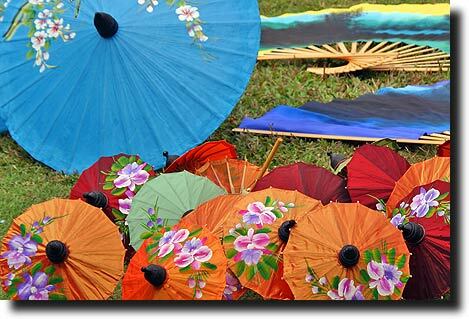 You can pay them to put a design on a new umbrella, or a mobile phone, or even a t-shirt. Breck got a really cool dragon done, and mom is already talking about framing it once the shirt gets too small to fit! 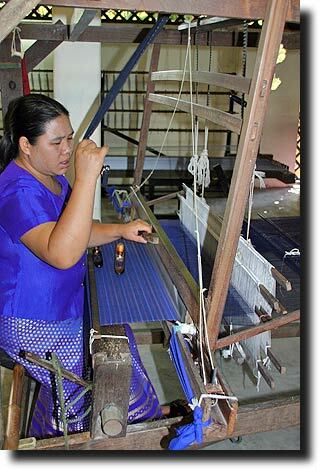 The Thai silk industry is quite well established and we enjoyed learning about the process. 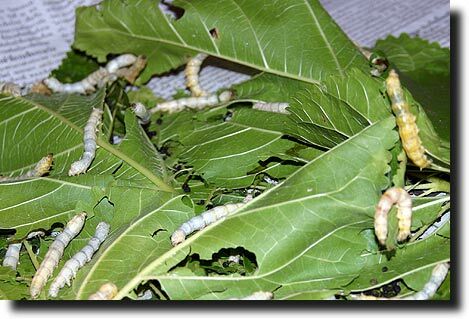 Below are the caterpillars that eat the mulberry leaves and then spin silk. The caterpillars spin a cocoon, in which they (plan to) lie dormant for about 30 days. The material that makes up this cocoon is raw silk, so you can probably guess that many of them don't make it the full 30 days! 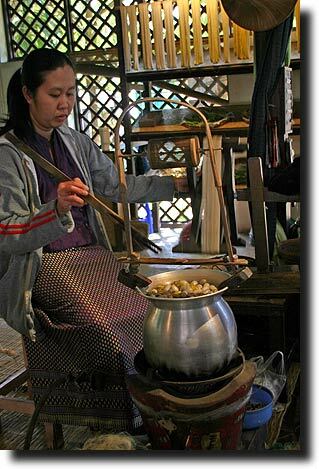 Near the end of that time, the cocoons are dumped in boiling water to kill the pupa. 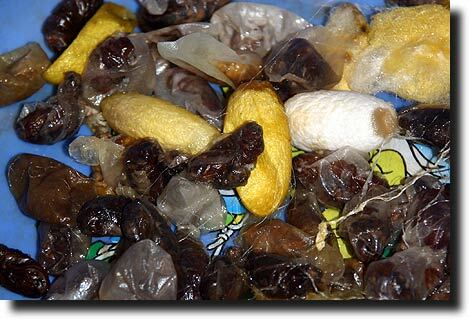 The corpse is pulled out of the cocoon and discarded, while the cocoon itself is pulled apart and started down the pipeline to being commercial-grade silk. Above are some of the dead bugs and their more-valuable homes... Animal rights activists would have a hay day with this one! 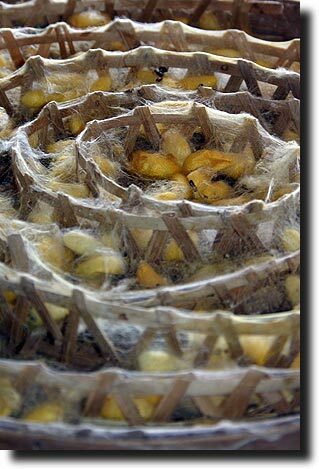 And yes, silk harvesters do keep enough pupa alive to raise another batch of eggs and larva. 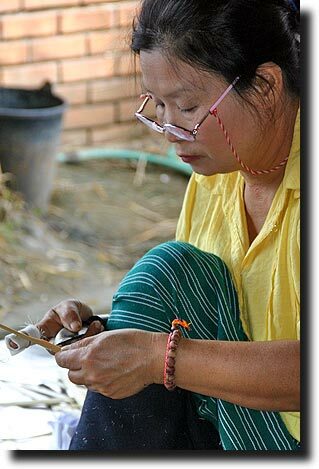 What is left from the cocoons is dried and spun out into silk thread. 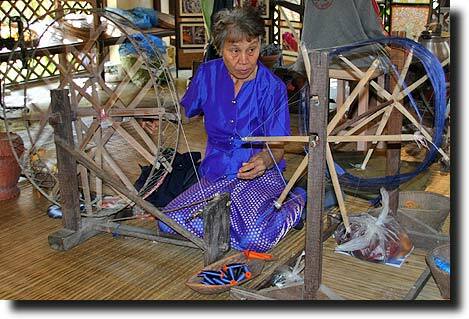 The silk thread is dyed and spun onto spindles (below). At this point, it is ready to be made into material, as the woman on the right is doing. 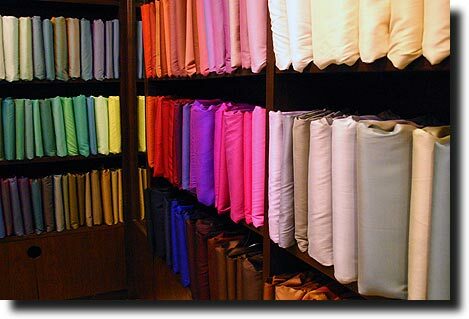 And finally, all that fine fabric ends up on the shelves of your local silk emporium. What great colors! We grabbed a lunch at tha point and then headed off to a temple overlooking the city.